Neck, back and spinal cord injuries are common effects of traffic crashes, and they can leave injury victims facing time away from work, long-term care and extensive medical costs. The Oklahoma personal injury lawyers at Carr & Carr Attorneys at Law understand the challenges that confront injury victims and their families, and we also know that initial insurance company settlement offers are rarely enough for victims’ needs. If you or someone you love was hurt in an accident caused by another’s carelessness, please call us today at 877-392-4878 for your free consultation. You can also contact us online to tell us your story now. Our attorneys represent clients throughout Oklahoma and northwest Arkansas via offices in Tulsa, Oklahoma City and Springdale, AR. 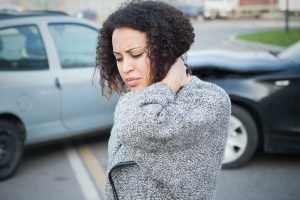 “Whiplash” and other types of neck injuries are common effects of motor vehicle accidents. “Whiplash”: Whiplash is a general term applied to neck injuries caused by the jarring, back-and-forth movement of the head and neck typical of a sudden impact; it can result in neck pain, neck stiffness and headaches that often resolve within a few weeks but sometimes trigger chronic discomfort. Herniated discs: When a cushioned spinal cord disc is displaced, the spinal cord and/or corresponding nerves may absorb undue pressure that results in intense pain in the lower back. Lumbar sprains: The lumbar region includes the largest vertebrae and encompasses the surrounding muscles. A sprain in this region can leave victims in pain and with limited mobility as they recover. Spinal cord injuries: Injuries to the spinal cord itself can lead to varying levels of paralysis or even death. Spinal cord injuries are among the most serious and most common injuries in traffic collisions. In fact, car accidents and motorcycle crashes are the leading cause of spinal cord injuries in the United States; according to the National Spinal Cord Injury Statistical Center, motor vehicle crashes are responsible for about 40 percent of all spinal cord injuries. Spinal cord injuries are often categorized medically as incomplete or complete. In an incomplete spinal cord injury, the spinal cord can still relay information to and from the brain. In a complete spinal cord injury, no sensory or motor function exists below the location where the injury occurred. 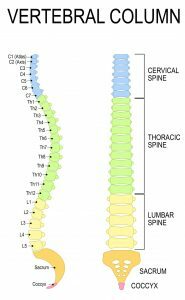 The extent of the damage from a spinal cord injury depends in large part on where along the spinal column the injury occurred. Injuries to the coccyx segment of the spinal column often heal with no chronic after-effects. However, these injuries are also painful, and recovery can be slow. 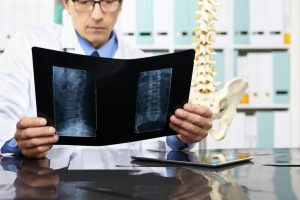 Victims of neck, back and spinal cord injuries may be able to recover medical expenses and other damages with the help of a knowledgeable injury attorney. Even minor neck and back injuries may require time away from work and be accompanied by overwhelming medical expenses. Spinal cord injuries often necessitate permanent care. If a loved one died due to spinal cord injury caused by another’s negligence, our attorneys may be able to help eligible survivors pursue compensation through a wrongful death claim.